How To Disable Error Reporting In Ubuntu 16.04? Sometimes while using Ubuntu, you may get some error popups that asks you to report problems. These errors are really very annoying. In other to disable these error reporting, you can do either of the two things. 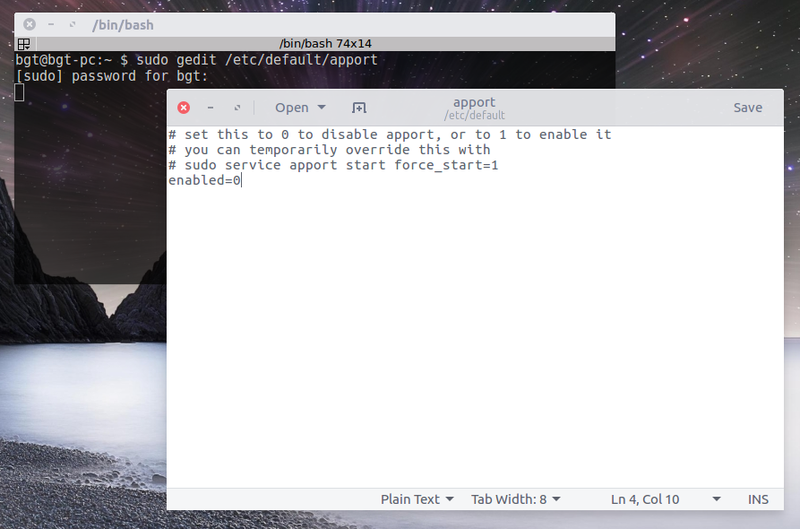 Open terminal by typing Ctrl + Alt + T and run the following command. After the file opens, change the value of enabled=1 to enabled=0 and save it. That’s it. From now on, you won’t get those annoying error reporting popups.